Submission to Pixel Art Decades Jam! 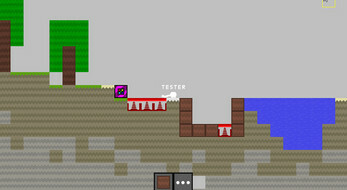 Build your house and explore the world in this 2D sandbox game. -This game has been programmed by a 13 year old programmer. -Don't forget to comment and have fun!